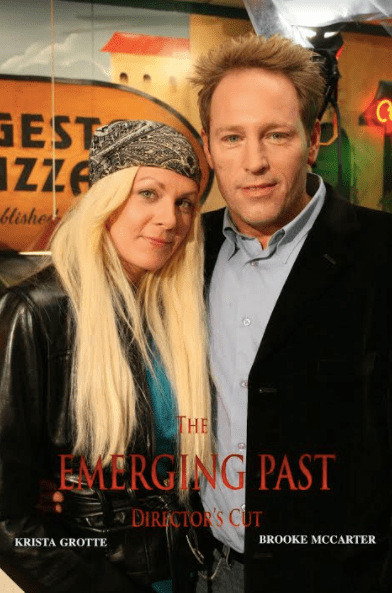 Noted multi award-winning filmmaker Thomas J. Churchill’s epic horror film, The Emerging Past Director’s Cut was just released on Amazon Prime. This film is in the tradition of Hitchcock and is a new psychological thriller from the producers & Writer/Director of Check Point, The Rack Pack, and Lazarus Apocalypse comes THE EMERGING PAST. When you can’t see the future you need to live for the past. This film is the ultimate psycho-thriller roller coaster ride of terror. Murder and mayhem surround Queens New York photographer, Pamela Garret (played by Krista Grotte, Check Point, The Rack Pack, Lazarus Apocalypse, Hershel Gordon Lewis’ The Uh-Oh Show) after she is discovered taking a life altering picture of a sacrifice ritual. Her world suddenly becomes a jigsaw puzzle as she quickly needs to solve it and find somewhere safe to hide before her emerging past catches up with her. With no where to go, she turns to her coworker Dylan (played by the late actor Brooke McCarter in his last and final role, The Lost Boys, Trashin, The Uh-Oh Show) for help. As stress levels rise in her search for the truth her coworker spins the game into another level as he reveals just who he really is. As she soon realizes that the past is never where you left it hence the title for the film. 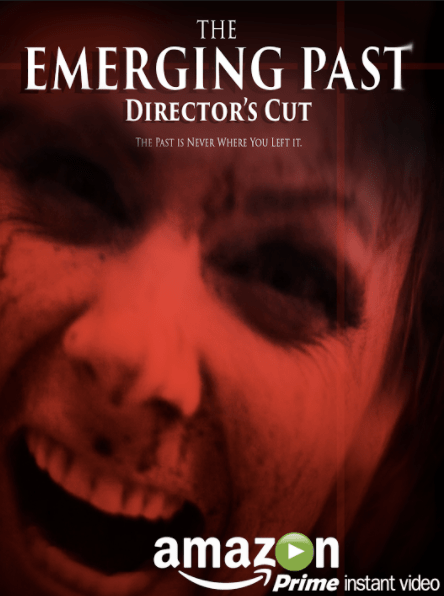 “I’m so excited that the Emerging Past Director’s Cut is on Amazon Prime. The Emerging Past was one of my first films, so it’s as if my career has come full circle with this release of the film,” said Churchill. This film also stars horror icon Stephen Geoffreys (Check Point, LAZARUS, Fright Night, 976-Evil, Heaven Help Us, At Close Range), Steve Dash (Friday the 13th Part 2, Nighthawks, Alone in the Dark, Mr. Hush), Edward X. Young (Sea of Dust, The Green Monster, Mr. Hush), Tony Moran (John Carpenter’s Halloween, BEG) and Mike Marino (Check Point, Sleepless Nights, Lazarus Apocalypse). The film is skillfully written and directed by Thomas J. Churchill (Check Point, Lazarus Apocalypse, The Rack Pack). This noteworthy film was the winner of 8 Awards including four for Best Picture at various Film Festivals across the world. This has been a banner year for the prolific Churchill. His film, The Rack Pack, starring C. Thomas Howell is in post production. His much buzzed about film, Check Point, which was distributed by Sony was just released on all platforms. This film has an all-star ensemble cast consisting of WWE Universal Champion Bill Goldberg (The Longest Yard), William Forsythe (The Rock, Raising Arizona), Martial Arts Hall of Famer Mel Novak (Bruce Lee’s Game of Death, An Eye For An Eye opposite Chuck Norris), Kane Hodder (Jason Voorhees from Friday the 13th films), Tyler Mane (Michael Myers in Rob Zombie’s Halloween, X-Men), Fred “The Hammer” Williamson (From Dusk Till Dawn, Starsky & Hutch), Former UFC Champion John Lewis (Sons of Anarchy), Krista Grotte (Nation’s Fire, The Rack Pack) and Kenny Johnson (Bates Motel, The Shield). This project is also the last film of Ricky Harris (Heat, Dope) before his tragic and unexpected death. The action packed Syndicate Smasher, which he worked on with Novak and Laurene Landon (Maniac Cop, Sky) and played the role of Andy, just held it’s world premiere to a sold out crowd. Other projects this multi-talented filmmaker has worked on are the two time award-winning retro-film noir zombie epic-Lazarus: Apocalypse starring James Duval (Independence Day), which won best horror film at The New York City International Film Festival. He also produced and portrayed the sheriff in the indie film Mr. Hush. Churchill was also seen by millions on the SyFy Network’s hit series Monster Man in episode #2 titled The Forbidden Werewolf. This talented multi-hyphenate had a memorable role in the new cult classic Samurai Cop 2: Deadly Vengeance with a talented ensemble cast consisting of Bai Ling (The Crow), Tommy Wiseau (The Room), Laurene Landon (Airplane 2: The Sequel), and Dawna Lee Heising (Pond Scum), and was reunited with Novak. Next on deck for Churchill is epic action thriller Nation’s Fire, starring Grotte, which he wrote and will be directing. Also on deck for him is an edgy new anthology TV series, Cold Plastic, which he also wrote and is directing as well. Both projects are being production in conjunction David M. Parks’ Apothecary Entertainment.